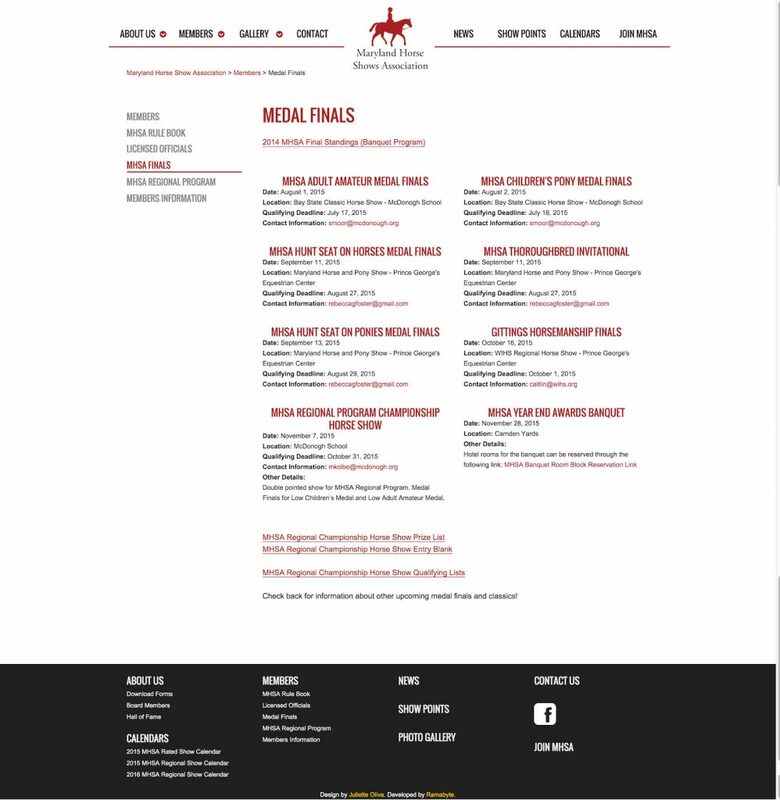 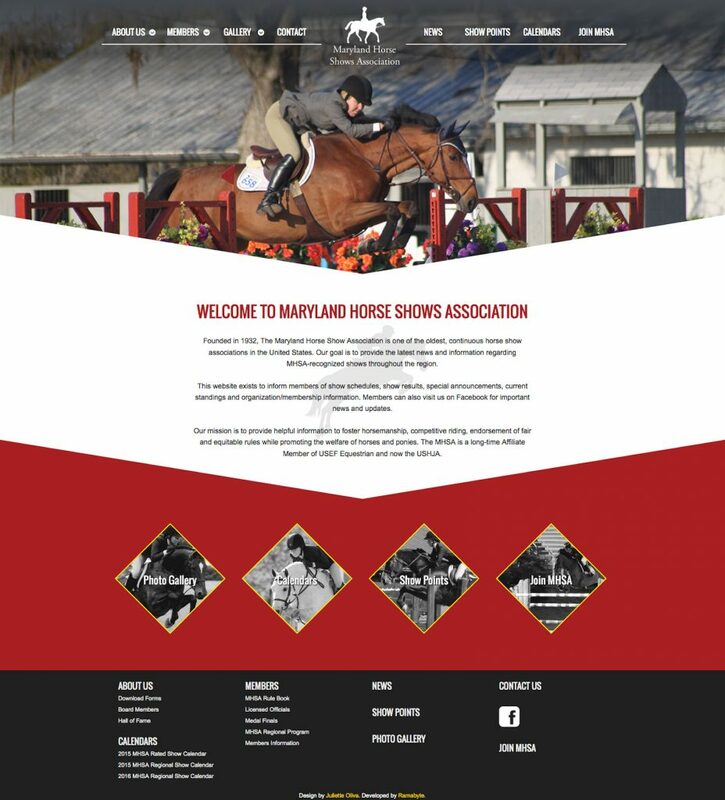 Founded in 1932, The Maryland Horse Shows Association is one of the oldest horse show associations in the US, providing helpful information to foster horsemanship, competitive riding, endorsement of fair and equitable rules while promoting the welfare of horses and ponies. 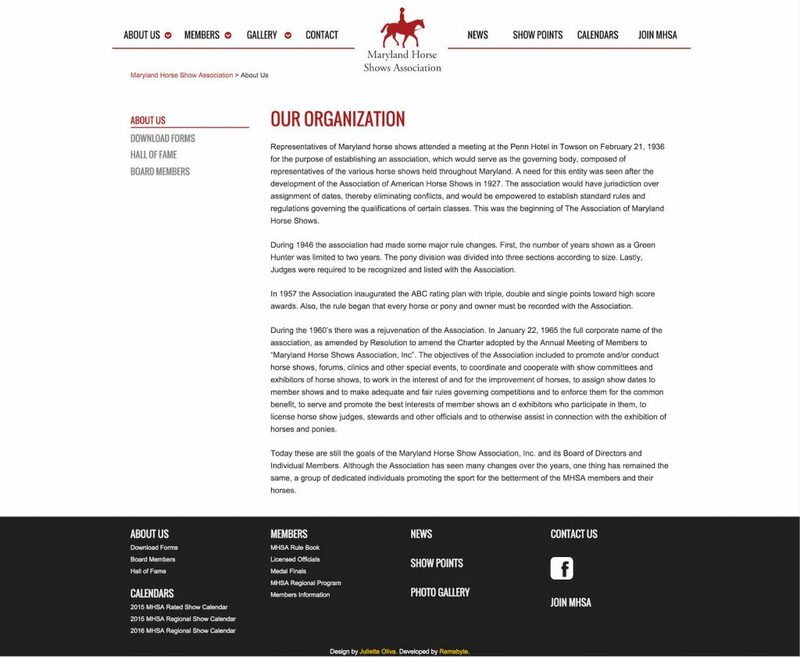 I was the promary developer and worked with the MHSA to modernize the look and feel of the brand. 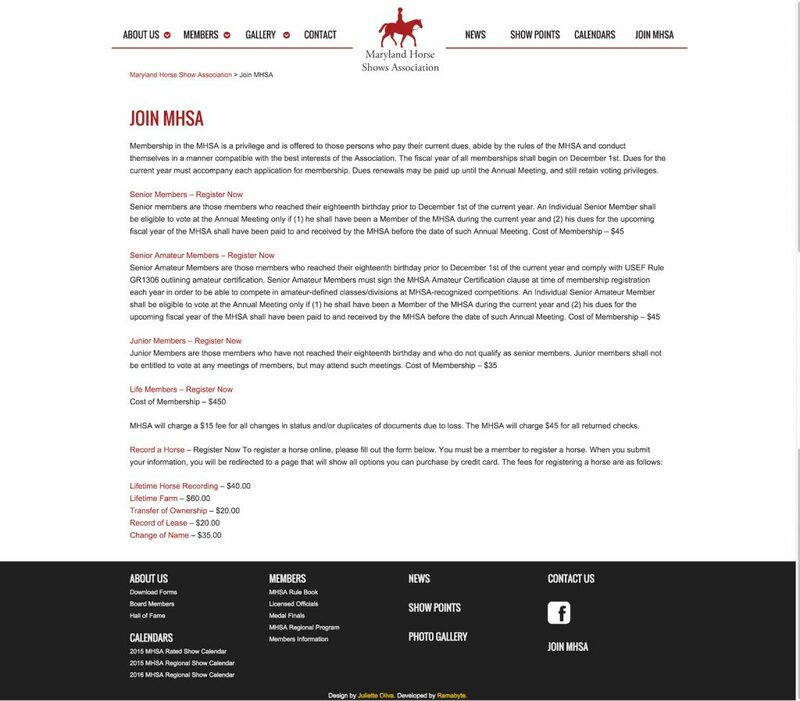 A new website was designed with a custom WordPress template with a clear content structure that features the updated branding, fonts, and colors.